Our team of physicians, nurse practitioners, and physician assistants has expertise in providing primary care at home. Their care is supervised by our physician medical director to ensure that it meets the highest-quality, evidenced-based standards of care. Patients enjoy the one-on-one attention of their own personal provider, while the coordinated efforts of the entire team ensure excellent and reliable services. Patients, families, and referral sources also receive dedicated and reliable support from practice management staff including the clinical coordination manager and client services manager. They can always call the office and be immediately connected to one of our trusted practice team members. Our physician medical director oversees the care delivered by all of our in-home medical care providers. He or she leads weekly interdisciplinary group meetings to ensure that the oversight of our teams meets the highest level of medical expertise in providing specialized in-home medical services, and that the delivery of care is both appropriate and expertly coordinated. Our in-home advanced practice providers include nurse practitioners and physician assistants. 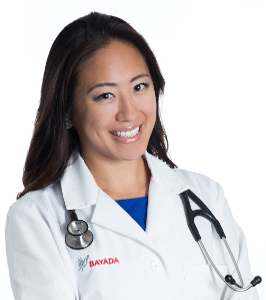 Every BAYADA Physician Services provider is experienced and able to provide the same medical care, including performing physical examinations, writing and refilling prescriptions, ordering lab work and diagnostic testing, and more.